The last of today’s 2017 Coffee Spot Awards shortlists is the “Best Saturday Supplement” Award, won in 2016 by Beyond the Bean Barista Bursary. The Saturday Supplement is a place where I can write about coffee, coffee-related events, places which I liked but which didn’t really fit into the category of a Coffee Spot and frankly, anything else that takes my fancy! This Award recognises the best of this year’s Saturday Supplements. Just so we’re clear on this, the Award is not about my writing (that would be far too self-serving). 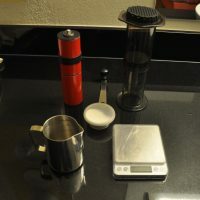 It’s about the actual subjects that I’m writing about, which this year included coffee kit, coffee festivals, books, and going for dinner, all of which makes the comparison a little tricky, but that’s my problem! There are 12 Saturday Supplements on the shortlist this year, all listed in order of publication. One of my hobby-horses for the last few years has been reusable cups. I actually come at it from the taste perspective, since I can’t stand the taste of coffee out of paper cups. However, there’s also an environmental aspect to it, since we throw away far too many disposable cups. This nomination is dedicated to my favourite cup, the Therma Cup by Jody Leach and has also been shortlisted for this year’s Most Popular Coffee Spot Award. 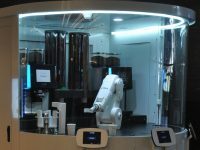 In January I visited Cafe X in San Francisco, a completely automated cafe where you order online and have your coffee made by a robot barista. The main downside is that you can’t use your own cup… Cafe X was also shortlisted for the Best Takeaway Coffee Award. Has Bean is one of the country’s leading roasters, with its coffee served in various coffee shops up and down the country (and further afield). 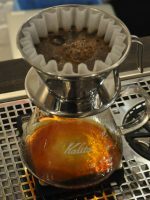 However, for 72 days earlier this summer, you could get, for the first time in 14 years, coffee roasted and served by Has Bean as it opened its Made by Hand Coffee Pop-up in the UniQlo store on Oxford Street, which I wrote about in April. Made by Hand has also been shortlisted for the Most Unlikely Place to Find a Coffee Spot and Most Popular Coffee Spot Awards. 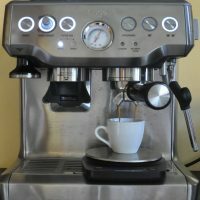 I got an early Christmas present last year when Sage sent me a Barista Express espresso machine. This beautiful bit of kit has revolutionised my home espresso making, which I had all but given up on. You can see what I made of it in my Saturday Supplement. All I need to do now is work on my latte art… The Sage Barista Express has also been shortlisted for this year’s Most Popular Coffee Spot Award. 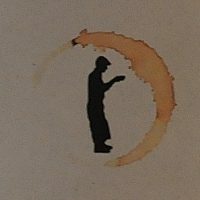 In April this year, one of my all-time favourite coffee shops, Newcastle‘s Flat Caps Coffee, closed. In essence, it was good news, because Joe, Flat Caps owner, had opened two new coffee shops and the original, on Ridley Place, had served it purpose and it’s time was up. However, I still shed a tear and wrote about why I loved it so much. Goodbye Ridley Place has also been shortlisted for this year’s Most Popular Coffee Spot Award. An annual fixture, the London Coffee Festival is the granddaddy of all coffee festivals. Each year it grows and evolves and, each year, I’m there for three or four days (three days this year) and I never manage to visit everyone and everything that I want to see… The London Coffee Festival has also been shortlisted for this year’s Most Popular Coffee Spot Award. After missing 2016, the Glasgow Coffee Festival was back, bigger and better than ever, and now spread over two days for the first time. I even got in on the act with a Japanese Coffee Cupping. The festival is also shortlisted for the Special Award. 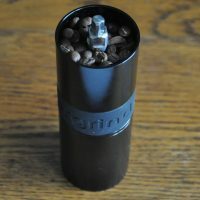 Talking of travelling, Knock, manufacturer of my favourite hand grinders, launched its Aergrind travel grinder this year and was kind enough to give me one. I took it on a road flying trip to America, and you can find out what I made of it in this Saturday Supplement (hint: Knock aren’t getting it back any time soon!). The Aergrind has also been shortlisted for this year’s Most Popular Coffee Spot Award. 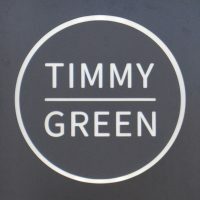 I turned my hand to food critic as I wrote about my experiences of having dinner at Timmy Green, the restaurant off-shoot of the Beany Green coffee shop chain which opened in the new Nova Development by Victoria. Timmy Green itself was also shortlisted for this year’s Best Coffee Spot Near a Railway Station and Best Breakfast Awards. The final Saturday Supplement is a perennial favourite, Caffeine Magazine. 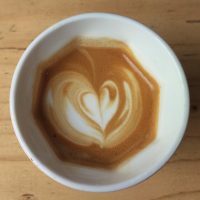 I’ve been writing for Caffeine Magazine for the last five years and have been documenting each issue as and when they come out. There are now 30 issues, all summarised in my Saturday Supplement.